Experience the excitement of a safari adventure! Keep your child’s favourite books tidy and in good condition with these delightful wooden bookends. Featuring a roaring lion and large grey elephant on one side, with a black and white striped zebra and elegant giraffe on the other, each bookend includes a colourful savannah landscape. Finished in non-toxic paint, these sturdy bookends come in a delightful presentation box and make a perfect gift for any occasion, particularly special occasions like a christening, birthday or Christmas! 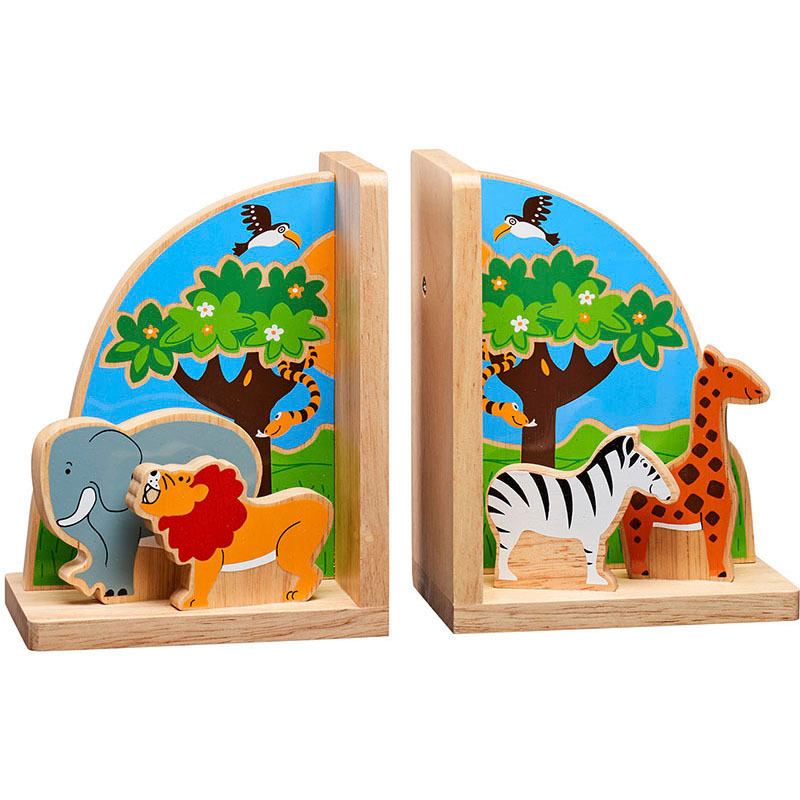 These colourful wooden Safari Bookends from Lanka Kade are the perfect addition to any nursery, bedroom, or playroom.